The Rev. Karen M. Sease has been appointed Assistant to the Bishop for Vocations and Leadership/Mission Advancement by Bishop Patricia Davenport. Pastor Sease currently serves as Major Gift Officer and Director of Alumni Relations at United Lutheran Seminary. She brings over ten years of experience in fundraising, stewardship, and vocational discernment to her new role. The Synod Council approved this call at its April meeting. Pastor Sease will begin her service with the Synod at Assembly. “We are grateful to have Pastor Sease on our Office of the Bishop Team,” said Bishop Davenport. “Her gifts for connecting with lay and rostered leaders will strengthen our Vocations and Leadership efforts, and her ability to cultivate generosity will expand our Mission Advancement work. Pastor Sease was first called to the Southeastern Pennsylvania Synod in 2014. She has used her gifts for leadership and storytelling with the Evangelical Outreach team, the Stewardship team, and the Lead team of the Forward Together in Faith campaign of the Synod. 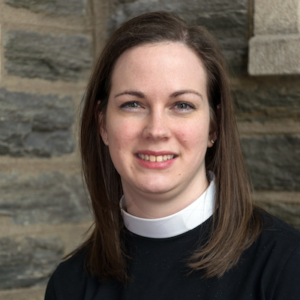 She has supported many who are listening for God’s calling through the seminary admissions process and through discernment retreats offered by Project Connect and the ELCA Seminaries InFaith Grant. Pastor Sease is passionate about raising up leaders that will seize the opportunities facing the Church. Before joining United Lutheran Seminary, she served as Pastor at Grace Evangelical Lutheran Church, Pottstown. She is a graduate of Furman University and the Lutheran Theological Seminary at Philadelphia, and currently lives in Chalfont with her husband Axel.